Thrusters with the hydraulic motor mounted in a watertight pod within the thruster tube. 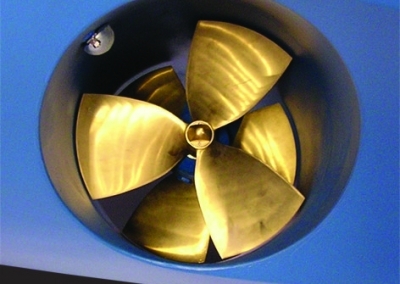 Originally developed for use in small inland waterways, this type of thruster has evolved into a thruster with wider professional applications. A bronze or aluminium gear housing with a right angle gear drive is mounted onto a flange in the thruster tube. 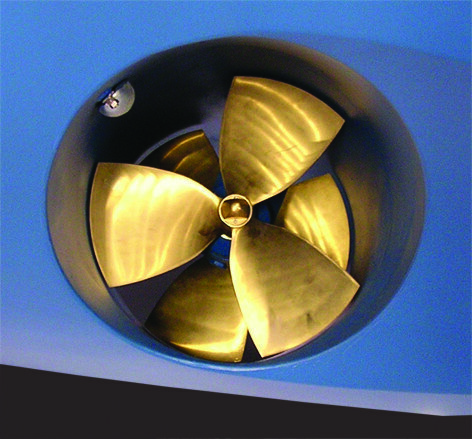 Due to the increase in yacht dimensions, this range of thrusters now extends up to 125kW. They are therefore suitable for mega yachts of up to 60m. 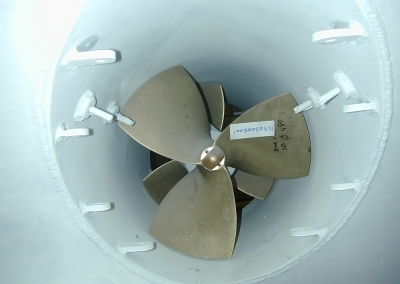 The demand for smaller thruster tubes in combination with requirements for reduced noise levels have led to the development of a new series of thrusters with two counter rotating propellers. This technology has been adopted from the commercial sector, where this type of thruster has been in use for many years.